Electrical Safety Testing by a Testel Test and Tag South Australia licensed electrician provides peace-of-mind preventative safety measures and ensures legal compliance with relevant OHS Workplace Standards. With electrical testing services right across the State, a Testel Test and Tag Adelaide technician will identify issues, faults and damage in any electrical device, fixed installation, portable appliance and power outlet that has the potential to do serious harm and injury to both human beings and infrastructure. Periodic inspection by a Testel Test and Tag South Australia technician is extremely important to maintain a safe working or home environment. It only makes sense that should an electrical item be exposed to harsher conditions or weather, then there is a need for more regular testing. Electrical items and devices are just like any other; they suffer wear and tear and degrade with age. Our job is to catch these issues before they do serious harm. The electrical testing process by a Testel Test and Tag Adelaide tech. will typically involve a visual inspection first to ascertain if there is any obvious degradation or damage. Once this is done, specific testing equipment will be brought in to locate any damage or faults that cannot be seen by the naked eye. And, finally, our technicians will tag, record and upload the results into our database for safe record storage. At Testel Test and Tag South Australia, our technicians ensure your workplace electrical equipment and testing process complies with Australian AS/NZS 3760:2013. To protect your business, employees and infrastructure, periodic testing is a must-have service. This is more the case when there is heavy usage of electrical equipment on a daily basis. 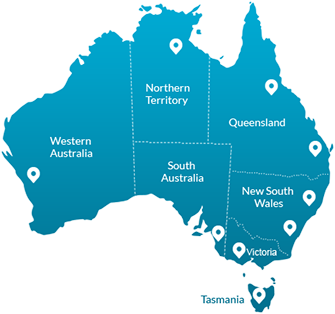 Offering services right across SA, whether you require assistance from our Test and Tag Adelaide branch or a remote / regional area, we are here to help. To find out more about our electrical testing or to make a booking, contact us by phoning 1300 881 116 or emailing us.